Little Office of the Blessed Virgin Mary: Lourdes by Robert Hugh Benson. Chapter 9. Lourdes by Robert Hugh Benson. Chapter 9. 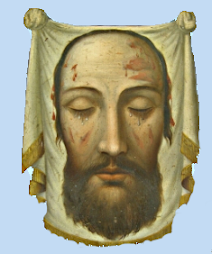 Next morning I awoke with a heavy heart, for we were to leave in the motor at half-past eight, I had still a few errands to do, and had made no arrangements for saying Mass; so I went out quickly, a little after seven, and up to the Rosary Church to get some pious objects blessed. It was useless: I could not find the priest of whom I had been told, whose business it is perpetually to bless such things. I went to the basilica, then round by the hill-path down to the Grotto, where I became wedged suddenly and inextricably into a silent crowd. For a while I did not understand what they were doing beyond hearing Mass; for I knew that, of course, a Mass was proceeding just round the corner in the cave. But presently I perceived that these were intending communicants. So I made what preparation I could, standing there; and thanked God and His Mother for this unexpected opportunity of saying good-bye in the best way—for I was as sad as a school-boy going the rounds of the house on Black Monday—and after a quarter of an hour or so I was kneeling at the grill, beneath the very image of Mary. After making my thanksgiving, still standing on the other side, I blessed the objects myself—strictly against all rules, I imagine—and came home to breakfast; and before nine we were on our way. We were all silent as we progressed slowly and carefully through the crowded streets, seeing once more the patient brancardiers and the pitiful litters on their way to the piscines. I could not have believed that I could have become so much attached to a place in three summer days. As I have said before, everything was against it. There was no leisure, no room to move, no silence, no sense of familiarity. All was hot and noisy and crowded and dusty and unknown. Yet I felt that it was such a home of the soul as I never visited before—of course it is a home, for it is the Mother that makes the home. We saw no more of the Grotto nor the churches nor the square nor the statue. Our road led out in such a direction that, after leaving the hotel, we had only commonplace streets, white houses, shops, hotels and crowds; and soon we had passed from the very outskirts of the town, and were beginning with quickening speed to move out along one of those endless straight roads that are the glory of France’s locomotion. Yet I turned round in my seat, sick at heart, and pulled the blind that hung over the rear window of the car. No, Lourdes was gone! There was the ring of the eternal hills, blue against the blue summer sky, with their shades of green beneath sloping to the valleys, and the rounded bastions that hold them up. The Gave was gone, the churches gone, the Grotto—all was gone. Lourdes might be a dream of the night. No, Lourdes was not gone. For there, high on a hill, above where the holy city lay, stood the cross we had seen first upon our entrance, telling us that if health is a gift of God, it is not the greatest; that the Physician of souls, who healed the sick, and without whom not one sparrow falls to the ground, and not one pang is suffered, Himself had not where to lay His head, and died in pain upon the Tree. And even as I looked we wheeled a corner, and the cross was gone. How is it possible to end such a story without bathos? I think it is not possible, yet I must end it. An old French priest said one day at Lourdes, to one of those with whom I travelled, that he feared that in these times the pilgrims did not pray so much as they once did, and that this was a bad sign. He spoke also of France as a whole, and its fall. My friend said to him that, in her opinion, if these pilgrims could but be led as an army to Paris—an army, that is, with no weapons except their Rosaries—the country could be retaken in a day. Now, I do not know whether the pilgrims once prayed more than they do now; I only know that I never saw any one pray so much; and I cannot help agreeing with my friend that, if this power could be organized, we should hear little more of the apostasy of France. Even as it is, I cannot understand the superior attitude that Christian Englishmen take up with regard to France. It is true that in many districts religion is on a downward course, that the churches are neglected, and that even infidelity is becoming a fashion; but I wonder very much whether, on the whole, taking Lourdes into account, the average piety of France, is not on a very much higher level than the piety of England. The government, as all the world now knows, is not in the least representative of the country; but, sad to relate, the Frenchman is apt to extend his respect for the law into an assumption of its morality. When a law is passed, there is an end of it. 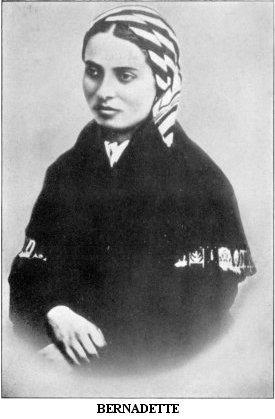 Yet, judging by the intensity of faith and love and resignation that is evident at Lourdes, and indeed by the numbers of those present, it would seem as if Mary, driven from the towns with her Divine Son, has chosen Lourdes—the very farthest point from Paris—as her earthly home, and draws her children after her, standing there with her back to the wall. I do not think this is fanciful. That which is beyond time and space must communicate with us in those terms; and we can only speak of these things in the same terms. Huysmans expresses the same thing in other words. Even if Bernadette were deceived, he says, at any rate these pilgrims are not; even if Mary did not come in 1858 to the banks of the Gave, she has certainly come there since, drawn by the thousands of souls that have gone to seek her there. This, then, is the last thing I can say about Lourdes. It is quite useless as evidence—indeed it would be almost impertinent to dare to offer further evidence at all—yet I may as well hand it in as my contribution. It is this, that Lourdes is soaked, saturated and kindled by the all but sensible presence of the Mother of God. I am quite aware of all that can be said about subjectivity and auto-suggestion, and the rest; but there comes a point in all arguments when nothing is worth anything except an assertion of a personal conviction. Such, then, is mine. First, it was borne in upon me what a mutilated Christianity that is which practically takes no account of Mary. This fragmentary, lopsided faith was that in which I myself had been brought up, and which to-day still is the faith of the majority of my fellow-countrymen. The Mother of God—the Second Eve, the Immaculate Maiden Mother, who, as if to balance Eve at the Tree of Death, stood by the Tree of Life—in popular non-Catholic theology is banished, with the rest of those who have passed away, to a position of complete insignificance. This arrangement, I had become accustomed to believe, was that of Primitive Christianity and of the Christianity of all sensible men: Romanism had added to the simple Gospel, and had treated the Mother of God with an honour which she would have been the first to deprecate. Well, I think that at Lourdes the startling contrast between facts and human inventions was, in this respect, first made vivid to my imagination. I understood how puzzling it must be for “old Catholics,” to whom Mary is as real and active as her Divine Son, to understand the sincerity of those to whom she is no more than a phantom, and who yet profess and call themselves Christians. Why, at Lourdes Mary is seen to stand, to all but outward eyes, in exactly that position in which at Nazareth, at Cana, in the Acts of the Apostles, in the Catacombs, and in the whole history of Christendom, true lovers of her Son have always seen her—a Mother of God and man, tender, authoritative, silent, and effective! Yet, strangely enough, it is not at all the ordinary and conventional character of a merely tender mother that reveals itself at Lourdes—one who is simply desirous of relieving pain and giving what is asked. There comes upon one instead the sense of a tremendous personage—Regina Coeli as well as Consolatrix Afflictorum—one who says “No” as well as “Yes,” and with the same serenity; yet with the “No” gives strength to receive it. I have heard it said that the greatest miracle of all at Lourdes is the peace and resignation, even the happiness, of those who, after expectation has been wrought to the highest, go disappointed away, as sick as they came. Certainly that is an amazing fact. The tears of the young man in the piscine were the only tears of sorrow I saw at Lourdes. Mary, then, has appeared to me in a new light since I have visited Lourdes. I shall in future not only hate to offend her, but fear it also. It is a fearful thing to fall into the hands of that Mother who allows the broken sufferer to crawl across France to her feet—and then to crawl back again. She is one of the Maries of Chartres, that reveals herself here, dark, mighty, dominant, and all but inexorable; not the Mary of an ecclesiastical shop, who dwells amid tinsel and tuberoses. She is Sedes Sapientiæ, Turris Eburnea, Virgo Paritura, strong and tall and glorious, pierced by seven swords, yet serene as she looks to her Son. Yet, at the same time, the tenderness of her great heart shows itself at Lourdes almost beyond bearing. She is so great and so loving! It affects those to whom one speaks—the quiet doctors, even those who, through some confusion of mind or some sin, find it hard to believe; the strong brancardiers, who carry their quivering burdens with such infinite care; the very sick themselves, coming back from the piscines in agony, yet with the faces of those who come down from the altar after Holy Communion. The whole place is alive with Mary and the love of God—from the inadequate statue at the Grotto to the brazen garlands in the square, even as far as the illuminated castle and the rockets that burst and bang against the steady stars. If I were sick of some deadly disease, and it were revealed to me that I must die, yet none the less I should go to Lourdes; for if I should not be healed by Mary, I could at least learn how to suffer as a Christian ought. God has chosen this place—He only knows why, as He, too, alone chooses which man shall suffer and which be glad—He has chosen this place to show His power; and therefore has sent His Mother there, that we may look through her to Him. Is this, then, all subjectivity and romantic dreaming? Well, but there are the miracles! [Endnote: 1] The epithet is deliberate. He relates in his book, “Lourdes,” the story of an imaginary case of a girl, suffering from tuberculosis, who goes to Lourdes as a pilgrim, and is, apparently, cured of her disease. It breaks out, however, again during her return home; and the case would appear therefore to be one of those in which, owing to fierce excitement and the mere power of suggestion, there is a temporary amelioration, but no permanent, or supernatural, cure. Will it be believed that the details of this story, all of which are related with great particularity, and observed by Zola himself, were taken from an actual case that occurred during one of his visits—all the details except the relapse? There was no relapse: the cure was complete and permanent. When Dr. Boissarie later questioned the author as to the honesty of this literary device, saying that he had understood him to have stated that he had come to Lourdes for the purpose of an impartial investigation, Zola answered that the characters in the book were his own, and that he could make them do what he liked. It is on these principles that the book is constructed. It must be added that Zola followed up the case, and had communications with the miraculée long after her cure had been shown to be permanent, and before his book appeared. [Endnote: 3] This was written in the autumn of the year 1908, in which this visit of mine took place. [Endnote: 4] Since 1888 the registered cures are estimated as follows: ’88, 57; ’89, 44; ’90, 80; ’91, 53; ’92, 99; ’93, 91; ’94, 127; ’95, 163; ’96, 145; ’97, 163; ’98, 243; ’99, 174; 1900, 160; ’01, 171; ’02, 164; ’03, 161; ’04, 140; ’05, 157; ’06, 148; ’07, 109. [Endnote: 5] My notes are rather illegible at this point, but I make no doubt that this was Marie Cools. [Endnote: 6] The official numbers of those at the afternoon procession were 341. [Endnote: 7] It must be remembered that this was written six years ago, and is no longer true.